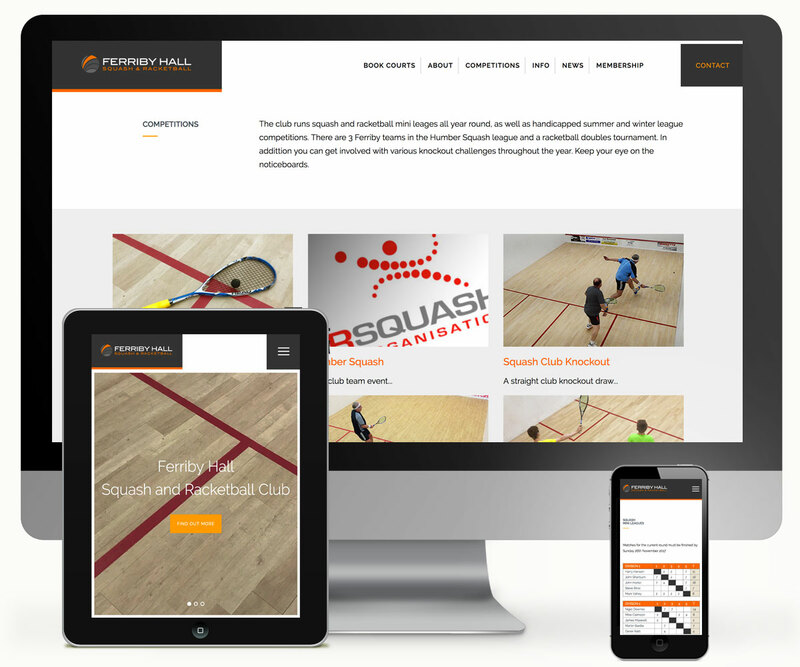 Ferriby Squash and Racketball Website - 939 DESIGN, Hull, Yorkshire. Ferriby Hall Squash and Racketball Club has been an active part of Ferriby and the surrounding villages for over 3 decades, its 3 high standard courts, recently refurbished, attracting serious and recreational players from across the Haltemprice and East Yorkshire area. It is an active, friendly squash club with emphasis on the game and the members. The club is set adjacent to Medici's restaurant and within crawling distance (post match) of the village pub. With its own barrier-controlled car park, comfortable changing rooms, electronic booking system and a sociable membership it welcomes players of all levels and is notable for its easy going atmosphere, whatever your standard of play.